Telenor Connexion’s lifecycle view of connected services help customers such as Volvo Car Group stay more competitive. This will be showcased in the Connected City of the Mobile World Congress. In the Connected City of the Mobile World Congress in Barcelona, Telenor Connexion will showcase its lifecycle view of connected services. Under the headlines “Design smart from start!”, “Managed operations” and “Evolve to stay competitive” Telenor Connexion will demonstrate how to reduce communication cost, optimize security and enable new business models for connected services – and stay flexible for market and technology changes. We live in a changing world where both customer’s needs, business models and technology changes. The ultimate challenge is to stay competitive and on top of market needs. In a connected world it becomes imperative to constantly adapt to technology changes and always ensure the best end-user experience and the most competitive business model. The key to success is to build in a flexible approach to enable constant fine tuning and ability to redefine the overall offering. Telenor Connexion’s mission is to make it easy for companies to realize connected services. These connected services will change over time going through the product life cycle. Telenor Connexion supports and manages customers’, such as Volvo’s, connected devices through the whole product lifecycle from set up, through operations to development. Long-term customer Volvo Cars will showcase its connected services in the Telenor Connexion stand in the Connected City. “Connected services are becoming a vital part of our products to further strengthen the overall car experience. Our award winning On Call app is an excellent example of a connected service evolving over time. Originally, it focused on direct access to a call center in the event of an accident or other emergency, along with location tracking if the vehicle was stolen. 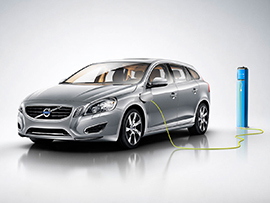 The service has since been extended with features like remote cabin-temperature control and door locking, vehicle-location devices and a fuel-economy tracker”, says Robert Jagler, Director MSS Connectivity at Volvo Cars. “For our customers the decisive factors are flexible technology, market driven business logics as well as a proactive service management. An agnostic approach to communication ensures that our customers stay flexible fo future changes in technology. And having the flexibility of innovative billing and charging services will help them capture new market segments”, says Per Simonsen, CEO of Telenor Connexion. “We’re not only here to support our customers’ daily operations, we are also here to push them forward”, he concludes. Telenor Connexion is part of the Connected City at the Mobile World Congress. Here the company will demonstrate its lifecycle view of connected services together with long-term customer Volvo Cars. To book a demo or an interview with one of Telenor Connexion’s spokespersons, please contact Kristina Grandin. Telenor Connexion, stand 3C2, Connected City, Hall 3, MWC.